Buy the Farm . . . Share: Vegetables From The Big City! This morning we woke up and left the house by 6:30 AM to go into the city. I got to test out my telephoto lens for the first time and give my 50mm lens another shot outdoors. Just when I start to think my photography is approaching passable I try it in a different scenario (read: anywhere other than my dinner table) and learn that I still know next to nothing. 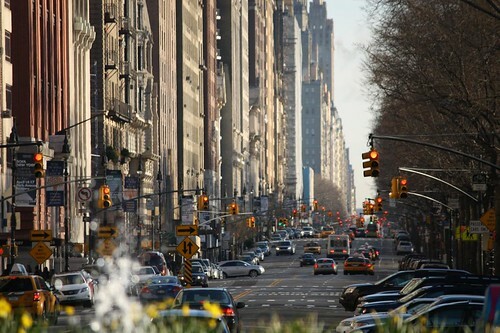 I did take a pretty cool picture of the view from Central Park West looking north from Columbus Circle. That and a lot of shots of the tops of buildings. 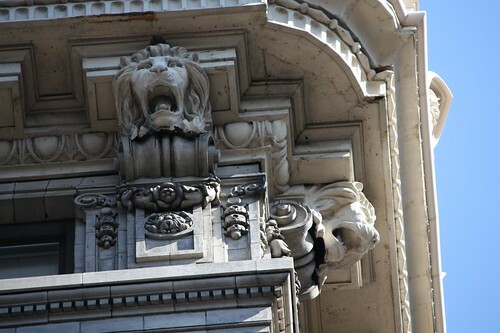 If you love gargoyles I suggest you come to New York City. You will not be disappointed. At the farmer's market in Union Square we picked up a few things. 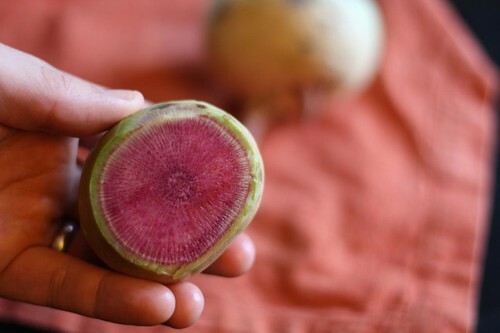 Jen insisted that we pick up these watermelon radishes early even though we were planning on walking uptown and coming back. There were only three left at 10:00 AM and we purchased two of them. 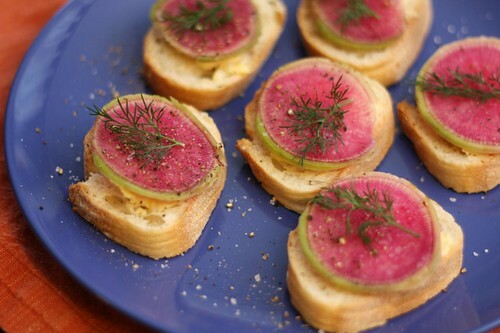 At home we sliced them thin and served them on baguette slices with butter, dill, salt, and pepper. These radishes were much less bitter than normal radishes and quite tasty. Besides, they look like a watermelon and who can't get behind that? 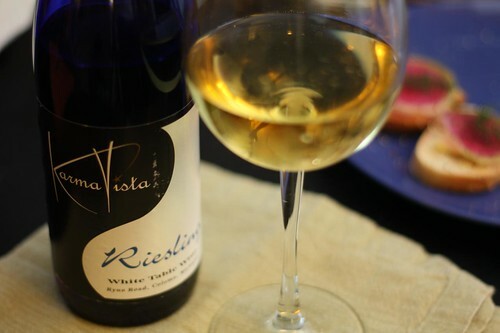 I opened this bottle of white wine for Jen that we purchased in Michigan in 2009 at Karma Vista Winery and Vineyard. I'm not one for knowing (or caring) about wine-pairing but if you are ever looking for a wine to pair with radishes I'd recommend this particular riesling. I'm not sure if any other riesling would work. A sweet one certainly would not but this one was delightful. That's a Nate Wine Tip! 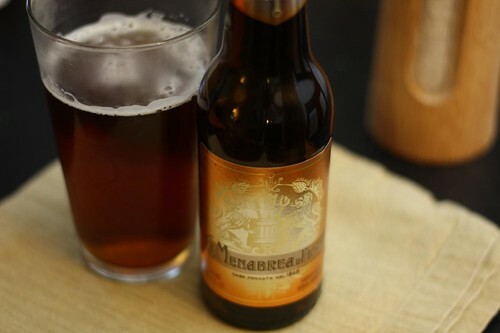 The only beer I've had from Menabrea before was their lager. I was very excited to find their amber ale this afternoon at Eataly. I drank this while I prepared dinner. I was expecting dinner to have an Italian theme to it but apart from some garlic and olive oil it really didn't end up working out that way. Tonight's salad was extremely bizarre. Normally I try to make good use of leftovers but I think I may have flown a little too close to the sun with this one. 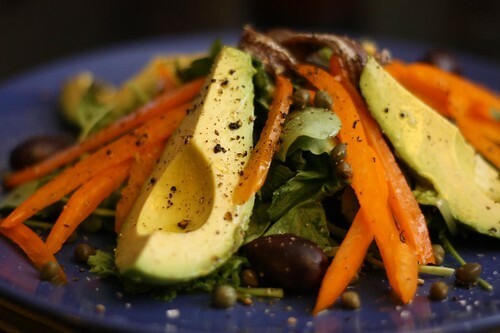 I used up the remaining radish tops, capers, anchovies, avocado, orange bell pepper, and kalamata olives. Basically I got rid of all the stuff I was tired of seeing in the fridge along with a little lemon juice and olive oil. The salad wasn't terrible but it didn't really make much sense either. It's kind of like if James Joyce put together a salad out of pure annoyance. The main course was pretty tasty. I used the same technique as used for the salad but the results just ended up being far better. 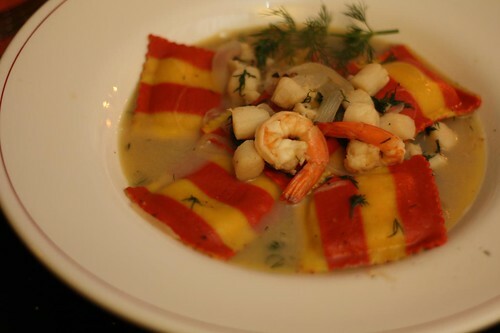 We'd picked up these crab and lobster raviolis last weekend on sale for $2.99. Anything with the word lobster on it for $2.99 is probably worth buying even if it says, "Contains NO lobster." I browned some crushed garlic in olive oil and butter with some julienned vidalia onion then added some frozen shrimp and scallops to the pan. After a minute I used some white wine, the remaining seafood broth from last night's chowder, tossed in the cooked raviolis and then threw in a little butter and fresh dill. Leaving the house before 7:00 AM is a really good way to feel like you accomplished a lot in a day. We were able spend about six hours in the city and be home sipping tea by 2:30 PM. I had forgotten how great the Union Square Farmer's Market is. Perhaps this is the start of something new! Maybe we'll wake up early every weekend and trek into the city for such an adventure! Or maybe we'll continue to sleep in and do absolutely nothing before noon. That's quite a bit of fun too.